A stand-alone and API driven all-in-one platform designed to help businesses engage with their customers and staff through visual and personalised mobile experiences. People open SMS messages at a 98 percent rate and the average response time for a message is 90 seconds. Go beyond relevance and start a multi-dimensional conversation with your audience – all from a single platform. Data is the new oil, however, if it is not used properly it is worthless. It is our duty to ensure you have the right data to make the right business decisions. 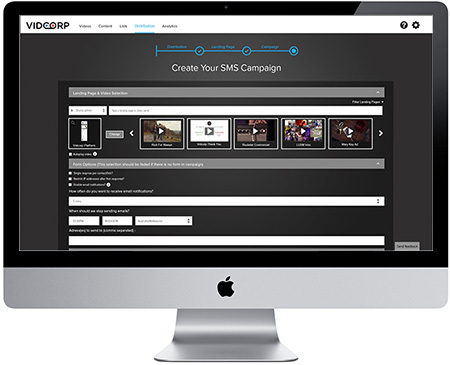 From engaging your staff to closing customers, VidCorp helps you unleash unparalleled messaging across your business. Use our tools and their respective data insights to reach and influence more people. The fusion of video content & our engagement tools converts interest into action faster than any other medium. In the hustle and bustle of corporate life, email is quickly skimmed or forgotten. Strategic SMS messages with video, pdf’s and or surveys – viewable on the go – in the taxi, at the airport, in-between meetings is the only way to get cut through and immediate responses. 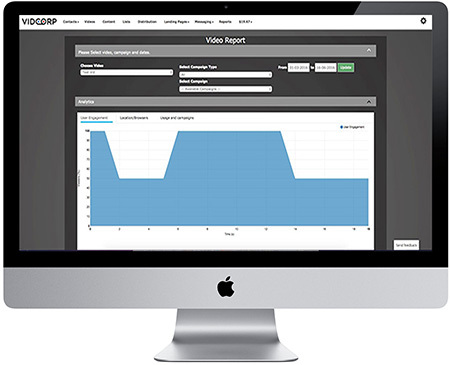 Use video content and surveys via mobile to revolutionise on-boarding, recruitment, and internal communication processes. Boost employee engagement, maintain audit trial data and reduce incidents of workplace injuries and work cover claims. Combine video content, lead generation forms and social media integrations with SMS to reach more buyers. Use our analytics to identify warm leads. Video has replaced the textbook as the ultimate gateway to knowledge. Retain interest and enhance information retention with snackable and compelling learning content. Don’t let your offers fall on deaf ears. Use video and multi-channel distribution to reach your customers’ hearts (and phones). 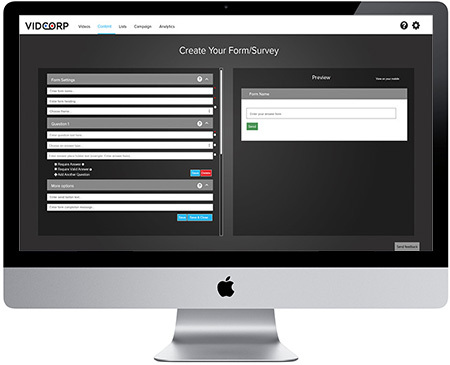 Plus, include surveys and downloadable content like pdf’s, directions and event apps . During a critical sales period, Carnegie harnessed the power of video and mobile distribution to achieve a 3x increase in stakeholder view rates and a 12% spike in share price. Wonderful technical support and service! VidCorp’s passionate team go above and beyond to ensure we achieve our communication goals. It’s nice to know help is just a phone call away! The VidCorp integrated solution gives us a reliable, direct and personal communication platform allowing us to engage our prospects as well as decrease the listing to lease and or sales journey!